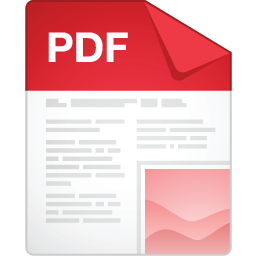 If you would like to unsubscribe to these emails, please click on the unsubscribe link at the bottom of this email. There is no better time than now to seek God's love and mercy through the Sacrament of Confession. Fr. Joe will be hearing confessions Tuesday from 6-9 pm. Why should you go? Click on the button to find out! Join us for the 8th Annual Lenten Soup Supper (4:30-6:15 pm) and Living Stations of the Cross (6:30 pm). This annual tradition is a favorite at St. Pius X. The CCW Soup Supper includes a wide variety of homemade soups that you'll love trying. A free will offering for the Soup Supper will support the Women's Life Care Center Ultrasound Initiative. 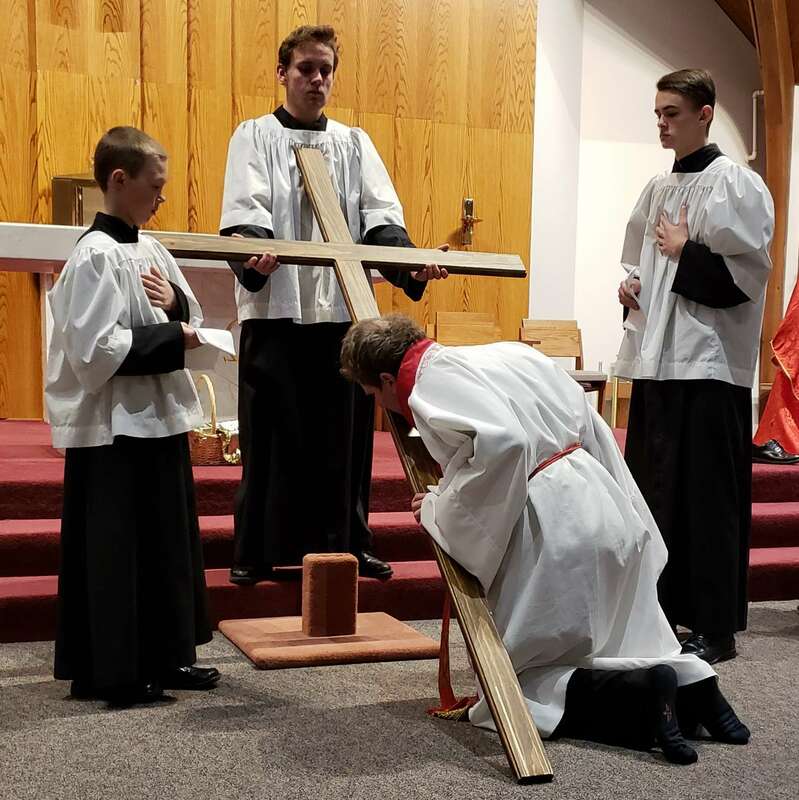 The Living Stations of the Cross will be presented by the St. Pius X teens and Fireproof Music Ministry starting at 6:30 pm. (There is no 6:30 pm Mass this night). 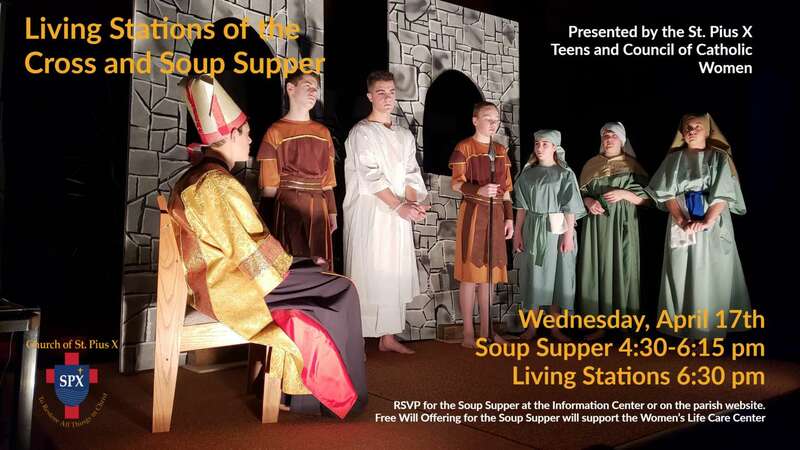 Please RSVP for the Soup Supper on or before Tuesday online using the button below or at the Information Center this weekend. Bringing your children to the Triduum Masses might seem a little daunting to say the least. But there are so many 'new' things for them to see and experience during the Triduum. The Triduum Checklist will help you point out the things that they will experience during Holy Week. Join in the prayer of the Church over the Tridduum. Worship Aids for Morning Prayers will be available. Children are encouraged to bring a non-perishable item for the food shelf for the offertory. Worship Aids for all the Triduum services will be available. Adoration in the Community Rooms will follow the conclusion of the evening service until 10 pm. Everyone will have an opportunity, if they wish, to venerate the cross with some act of devotion. Worship Aids for all the Triduum services will be available. 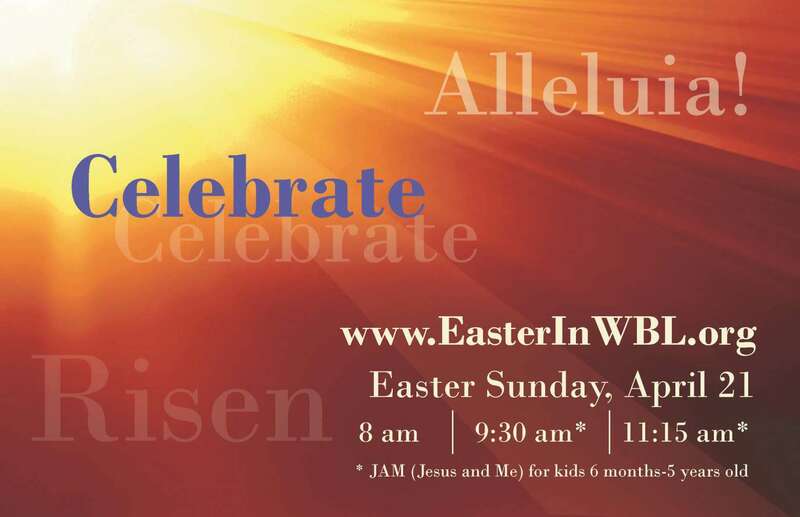 Come celebrate the holiest night of the year as we await the resurrection of the Lord. 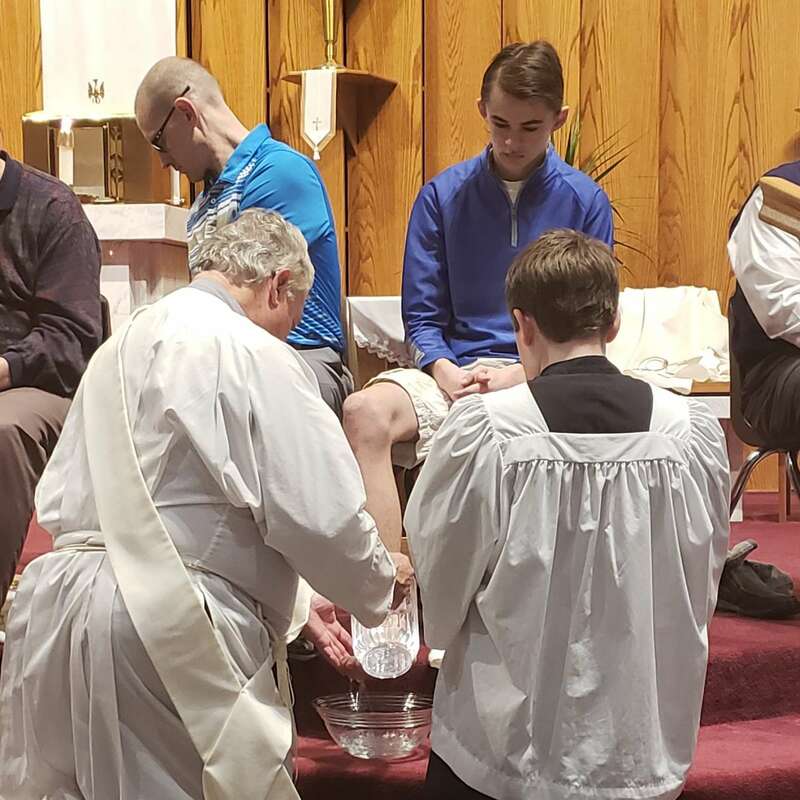 Listen to the story of our salvation through the Mass readings and welcome new members into the Catholic faith as they complete their Sacraments of Initiation (Baptism, Confirmation and Eucharist). Refreshments follow Mass. Worship Aids for all the Triduum services will be available. 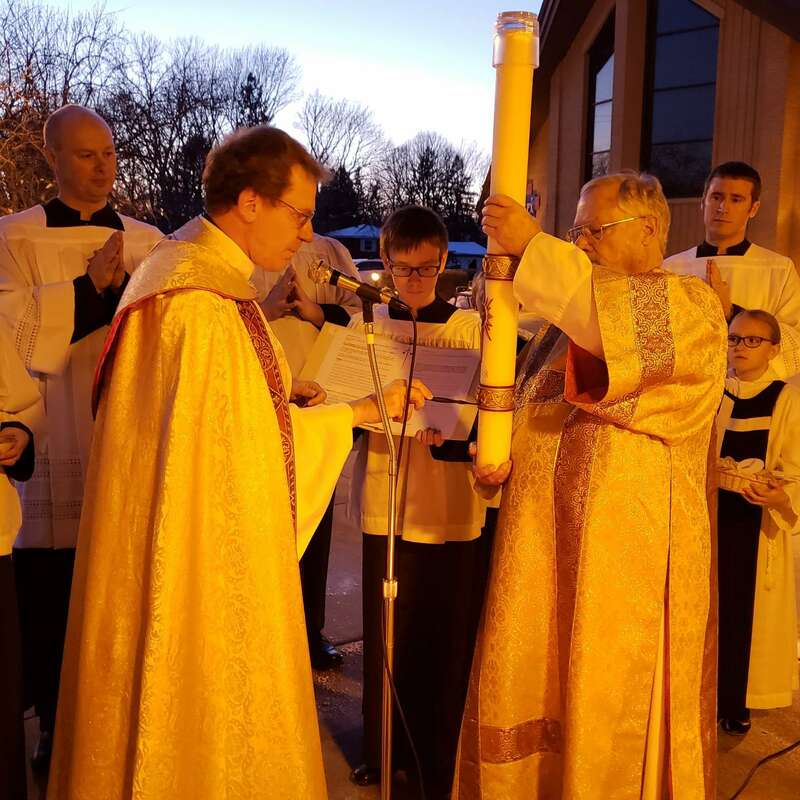 This Mass fulfills your Easter Sunday obligation. Incense is used during this Mass. J.A.M. (Jesus and Me) will be available in the Tek-Room for kids ages 6 months - 5 years old during the 9:30 am AND 11:15 am Masses. Incense will be used during the 9:30 am Mass. Did you know that most people want to attend Church at Easter even if they don't regularly attend Church? So why not invite them to attend St. Pius X? We've made it easy for you to do so. 1. Grab one of the Jelly Bean Invitations from the Information Center after Mass this weekend and give them to someone that might not normally attend here or anywhere for that matter. 3. 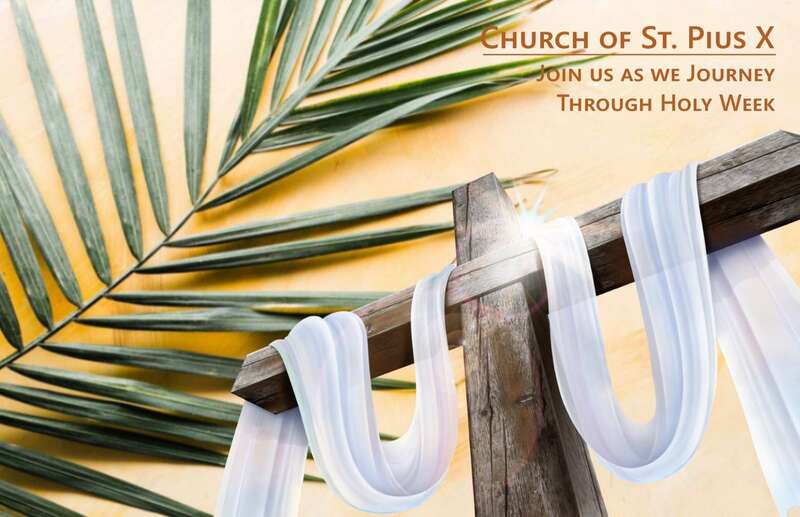 We will be posting information about Holy Week and Easter Masses on our various Social Media platforms. Simply 'Share' on your wall or personally with friends you want to invite! A short note "We'll be there" is all you need. 4. Do you have a business, work at a business or patronize one that has a community bulletin board? Grab a few of the Postcards from the Information Center with our Easter Mass times and hang them up or display them during the coming week. 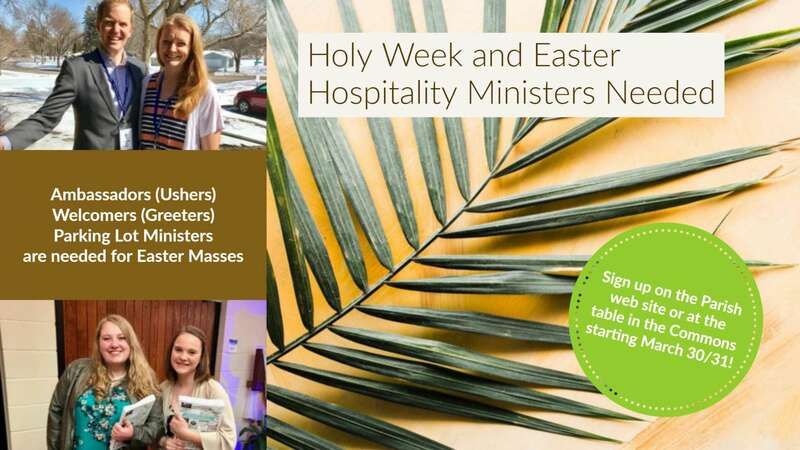 We still have need for volunteers in our Easter Hospitality Ministry. This is one of our most important outreach opportunities of the year and we need you to be the hands and feet of Jesus this Easter. Thank you to everyone who has stepped forward so far. If you have never taken part in this ministry and want to give it a try, this is a great opportunity. Families can volunteer together! 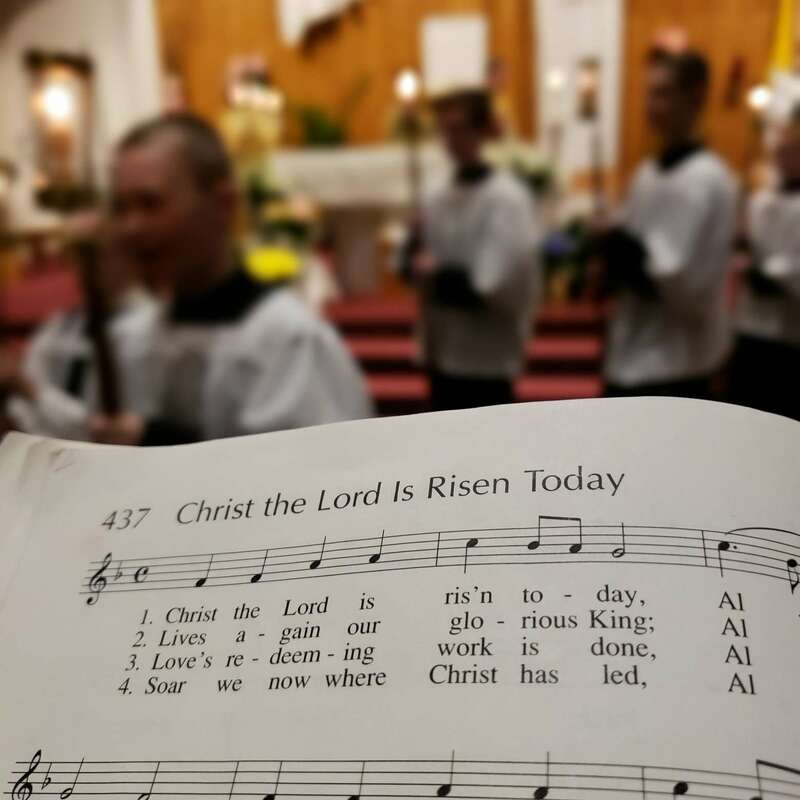 Individuals and families are invited to join as Welcomers (Greeters) or serve as Ambassadors (Ushers - ages 14 and up) for all the Easter Masses. We also need a few Parking Lot Ministers (ages 18 and up) for the 9:30 am Mass. We are inviting people into our spiritual home for this important Holy Day and we need YOU to help welcome them as you would welcome guests into your own home. Click the button below to see the available needs, days and times!